My car accident happened a few days ago, and the insurance adjuster is already offering a settlement. Should I accept such a fast settlement from the insurance company after my car crash in Houston? Often an insurance adjuster will try to get you to settle your insurance claim as quickly as possible. She may claim that the reasons for doing this are to help you get the money you need more quickly and to ease the burden of fighting your insurance claim while you heal. What she doesn’t tell you is how costly this can be for you in the long run. You do not know how much your medical bills will be yet. Serious injuries from a Houston car accident—such as traumatic brain injuries or back and neck damage—may not be evident within the first few days. Your body is still in shock, so some symptoms may be hiding beneath the surface, making it impossible to know they’re there. If you don’t know all of your injuries yet, you certainly cannot know how much your medical costs will be. Even if you do know your injuries—for instance, perhaps you broke your collarbone in the accident—you do not know how the bone will heal or whether you’ll need surgery down the road. You may not know the full cost of your property damage. The body shop and mechanic may need more time to determine the full extent of damage to your car. In some cases, they will not know the full cost for repairs until they are already working on your vehicle. Be sure the body shop and mechanic have finalized their assessment of your car before accepting a settlement check. You may not be at fault for any portion of the accident. 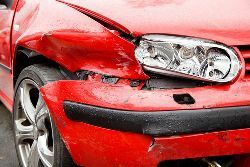 Sometimes, the adjuster will try to claim that you were at fault for a portion of the accident. This can have a major impact on how much you receive in a settlement check. If you accept a smaller check before an investigation into the crash takes place, you may lose out on a large amount of money. You deserve to have all the answers about your car accident before you accept a settlement check from the insurance company. Don’t let the insurance adjuster con you into making a fast decision about your settlement. Your future is too important for that. If you’re unsure of whether your settlement check is fair and just, it is important that you reach out to Houston TX car accident attorney Cris Galindo before accepting. By working with our family of experienced personal injury lawyers in Houston, you can be confident that the final check you accept is the one that is most fair for the pain you’ve had to endure. Call us at 1-888-800-1808 to speak with someone today.